Where Has All the Refugee Resettlement Money Gone? 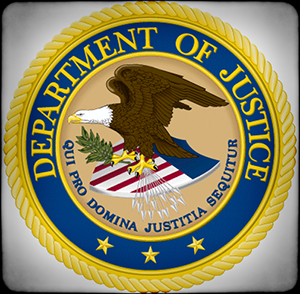 The Department of Justice's Office of Inspector General (DOJ OIG) released a report this month entitled "Audit of the Office of Justice Programs Services for Victims of Human Trafficking Grant Awarded to Catholic Charities, Archdiocese of San Antonio, Inc., Texas". The grant was for a substantial amount of money, $810,000, of which $730,491 has already been disbursed, and was intended to further the work of the South Texas Coalition Against Human Trafficking and Slavery (STCAHTS). Specifically, CCAOSA: (1) did not follow procedures for identification and procurement of contractors and there were no procedures for monitoring contractors, (2) had unsupported expenditures and drawdowns of $20,363, (3) submitted inaccurate financial reports, and (4) did not maintain supporting documentation for progress reports. Perhaps such an examination should have occurred before more than 90 percent of the money had been provided, but that's water under the bridge. A look on the Internet to find out about STCAHTS wasn't particularly fruitful. Their website is puzzling, drab, and uninformative. It also has superfluous links to such other sites as Al Jazeera, National Public Radio, CNN, and the like. For this reason, and with my curiosity aroused, I went to the official website of the Department of Health and Human Services Office of Inspector General to see what I could find out about any audit work that agency had done to ensure their money was well spent. I found a report from August 1994 — that was it. No amount of cross-checking by subject matter or division (ORR is a part of HHS's Administration for Children and Families) revealed any audit work done by HHS OIG despite the tens of millions of dollars apportioned, and not just to Catholic Charities, but to a number of both secular and religiously affiliated charities. One wonders at this lapse.